More than 42,000 men and boys have received voluntary medical male circumcision services, thereby benefiting from this procedure’s protective effect against HIV infection. Over 18,000 people have received HIV testing and counseling services, and those who tested positive were linked to treatment and care. With Jhpiego support, in 2015 the Ministry of Health launched a “See and Treat” strategy to combat cervical cancer. Since then, access to cervical cancer screening and prevention services has increased, with 15 sites around the country providing visual inspection with acetic acid (VIA) to immediately identify women at high risk of developing cervical cancer. More than 16,000 women have been screened through VIA and 84.5% of those with pre-cancerous lesions were treated with cryotherapy or the loop electrosurgical excision procedure to prevent the development of cervical cancer. With funding from the U.S. Department of Defense, Jhpiego is working with the Botswana Defence Force to strengthen the availability and quality of HIV prevention services for service members and communities around military sites. 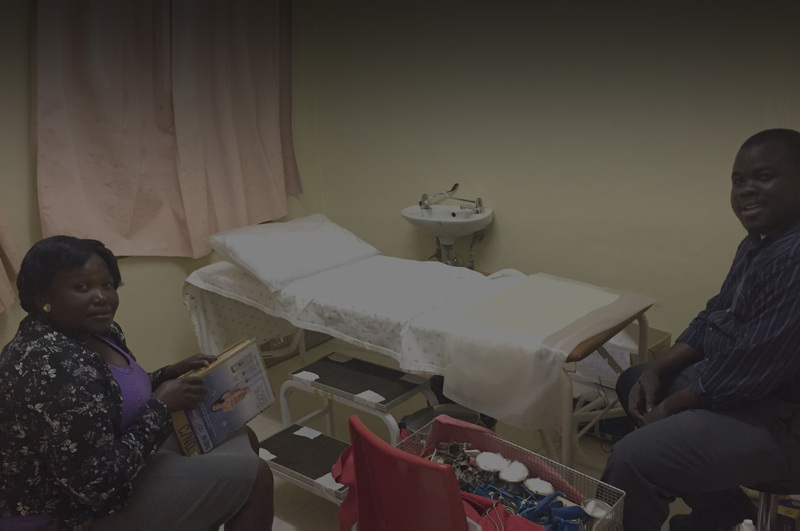 HIV prevention services being supported include HIV testing and counseling, condom distribution and provision of voluntary medical male circumcision. Jhpiego has: 1) helped raise the profile of HIV prevention through high-level, coordinated multi-site campaigns; 2) increased the availability of prevention commodities such as condoms for service members; and 3) increased the focus on circumcision as a prevention strategy by training military health care providers, increasing the availability of circumcision services at military sites, and raising awareness of the importance of circumcision among military personnel. The project targets 13 Botswana Defence Force garrisons and camps throughout the country and the adjacent civilian communities. Under this project, funded by the U.S. Centers for Disease Control and Prevention (CDC), Jhpiego is continuing to support the provision of high-quality voluntary medical male circumcision (VMMC) services in selected intervention communities as part of the larger Botswana Combined Prevention Project study. The project contributes to the efforts of CDC and other U.S. Government partners to quantify and demonstrate the benefits of combined HIV prevention strategies. Jhpiego’s VMMC teams, composed of clinicians and locally based interpersonal communications staff, provide valuable inputs to the collaborative study. These teams continue to: build demand for VMMC through ongoing, effective community mobilization in 15 intervention communities; provide education and information on VMMC in coordination with the study partners; and strengthen linkages to VMMC service sites to ensure that men who desire these services are able to access them. The U.S. Centers for Disease Control and Prevention is supporting Jhpiego to work with the Ministry of Health’s National Cervical Cancer Prevention Program to increase the availability of cervical cancer screening. This objective is being achieved by developing a national plan to increase the number of health care facilities that provide cervical cancer screening using a technique known as visual inspection with acetic acid (VIA) and same-day treatment with cryotherapy for smaller lesions and with the loop electrosurgical excision procedure (LEEP) for larger lesions. Currently, there are 25 VIA sites, 15 of which are supported by the U.S. President’s Emergency Plan for AIDS Relief (PEPFAR). Thirteen of these sites (including seven PEPFAR-supported sites) offer LEEP. In addition, Jhpiego is training clinicians to provide VIA and LEEP, improving the quality of these services, developing national systems for tracking service data and raising awareness among providers and communities about the importance of cervical cancer screening. Task Force for Global Health, Inc.